A good first thing to try is CarraScent odor eliminator spray. Return customers have said that it absorbs odors well. Just when you thought you had the incontinence issue under control with the right diaper or brief that is containing everything; you notice an odor. And the odor is not going away with the use of normal air fresheners. The odor keeps lingering. And nothing seems to help. Idiaper has odor eliminators to eliminate the odor involved with incontinence. The odor eliminators sprays don’t mask the smell with a scent, they eliminate the order. They are available in a variety of sizes in spray bottles. Pack one along with your other supplies that you take with you while you are out and about. Some of the products are scented, while others are scent-free. •	CarraScent Odor Eliminator is used for neutralizing biological and airborne odors. CarraScent has a very pleasant rain scent. The solution is liquid based, latex free and available in spray bottles. •	ZORBX Unscented Odor Remover is an unscented, non-toxic, hypo-allergenic spray. It completely removes any odors associated with incontinence. It can be sprayed on surfaces without any damage to the surface. It can also be mixed with laundry detergent to be used when washing any undergarments or bedding. •	CarraFree Odor Eliminator is the same product as CarraScent without the rain scent. It is also liquid based, latex free and available in spray bottles. •	Hex-On Odor Antagonist has been used in medical facilities for over 30 years as a way to control odors. Idiaper offers the Fresh Linen scent in a spray bottle. One spray will control odors for hours. •	The Dignity Odor Eliminator is a scent free spray. It is perfect for eliminating unpleasant odor with just a few sprays. •	The Carrington Enzymatic Odor Eliminator is a pump spray that neutralizes upon contact with the source. It has a Fresh Scent. The fine mist from the pump sprayer stays in the air longer and leaves no film on surfaces. •	The M9 Odor Eliminator Spray is available in unscented or a pleasant apple scent. It is available in a small spray bottle and also a larger bottle to refill your spray bottle. •	The Scented Hygiene Bags offer you a way to deal with the odor from soiled products. They will mask the odor from the soiled products until they can be discarded or washed. You can use them to transport any reusable products to the wash. They have a fresh power scent. They come in a convenient pop-up box and are small enough to carry with you anywhere. Odor elimination is very important when it comes to incontinence. 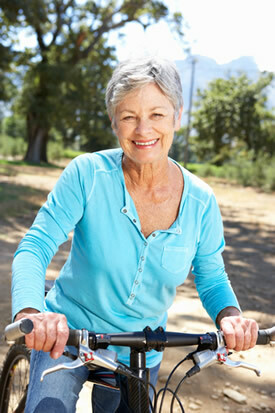 These products allow you to continue your lifestyle without the fear of an odor from your incontinence product. Accidents will happen, and it's nice to have something that can help with the odor. While body cleanliness is very important, the secure feeling that you do not have an odor is also important. Most people have a supply bag they have ready to go when they do. Why not pack a small spray bottle of the odor eliminator for just that time when you need it. Idiaper wants to make your life as enjoyable as possible with an incontinence issue.